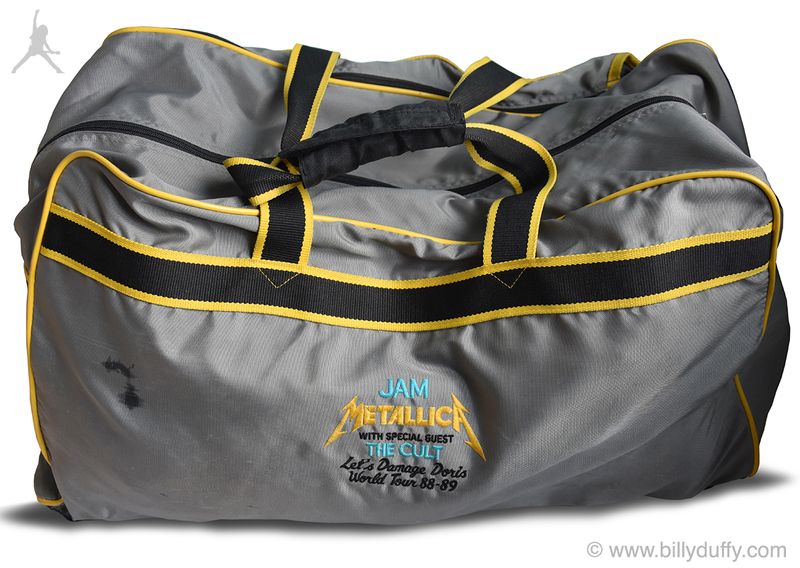 "When The Cult toured stadiums in the USA as special guests of Metallica in the summer of 1989 all the band and crew for both bands were gifted these Nike bags. It came in very handy however for carting my gear around on the tour... but as everyone had them it did get a little bit confusing when they all come out of the airport luggage carousel! Also interesting is that it features "Let's Damage Doris World Tour 88-89" on the embroidery which I think was a band in joke around "Damaged Justice" (which was the album they were touring). Often bands would have their own 'in joke' names for tours and you can see some of The Cult ones on the early tour itineraries here on my site."